This 2nd edition has been significantly updated, fully revised, and expanded to reflect the increased understandings from that extensive contact, including depth-treatment experiences with hundreds during the past decade. 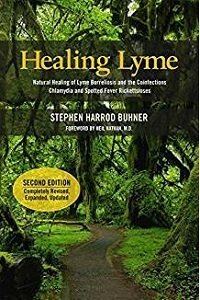 Healing Lyme is the primary text in print on what Lyme bacteria do in the body and how natural approaches can heal the disease. It is the first book in print covering an in-depth understanding and treatment of chlamydial and rickettsial coinfections as well.